Hi ladies! I'm so excited to share this holiday look with you today. 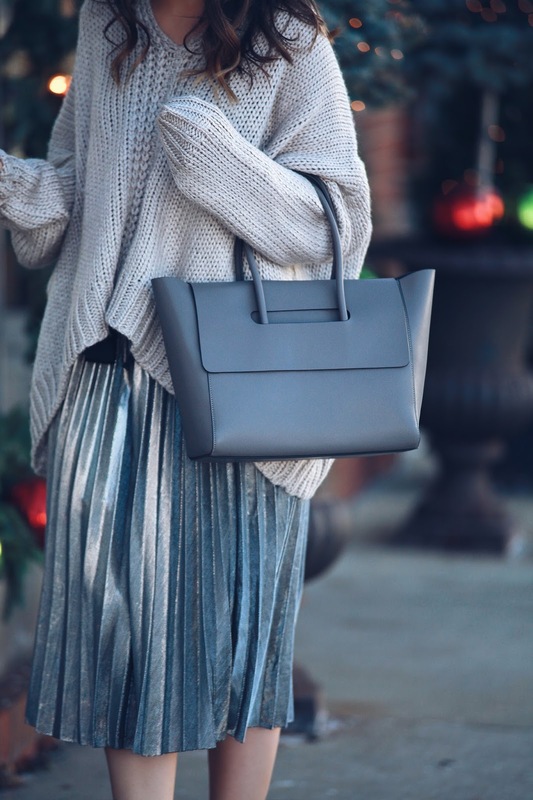 I have been loving the pleated skirt trend this holiday season and especially dressed down with an oversized knit. This Chicwish skirt is a favorite of mine with the metallic finish! I paired these Court Majestic Nikes with the look and ended up loving the final outcome.